I stopped to think for a second. The same Jake who hosts the show?! This led me to some digging on the interwebs to put the pieces together. I was pleasantly surprised with what I discovered. Jake had proudly embraced his multiple interests and made it possible to be a journalist, cartoonist and author! Jake was born in New York City and was raised in Queen Village, a neighborhood in Philadelphia. He studied history and visual arts at Dartmouth College and had a cartoon in the Dartmouth school newspaper. Jake briefly attended graduate school at the University of Southern California School of Cinema-Television. 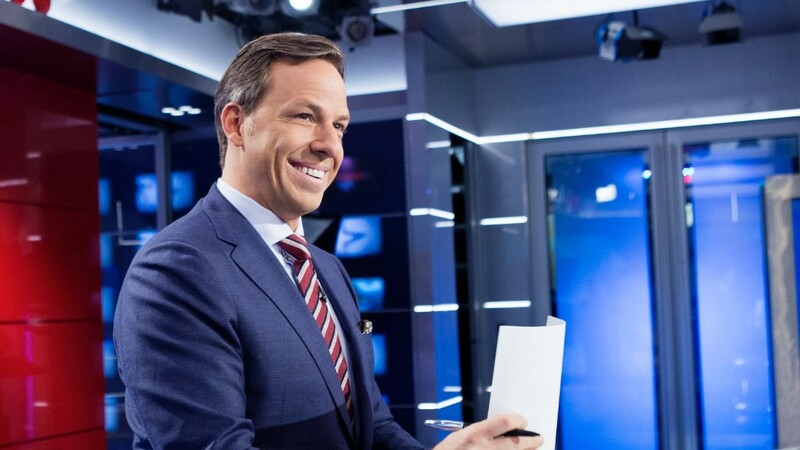 Jake is the Chief Washington Correspondent for CNN and hosts “The Lead with Jake Tapper” in addition to “State of the Union.” Prior to CNN, Jake worked for ABC News. He was honored by the White House Correspondents’ Association for his work as Senior While House Correspondent for ABC News with three Merriman Smith Memorial Awards for broadcast journalism. Jake also earned an Emmy Award for Outstanding Live Coverage of a Current News Story for his contribution to the coverage of the inauguration of President Obama. Jake’s book The Outpost: An Untold Story of American Valor debuted in the top 10 on The New York Times Bestseller list. Jake’s book and his reporting on the veterans and troops were cited when the Congressional Medal of Honor Society awarded him the “Tex” McCrary Award for Excellence in Journalism. During the week of May 23, 2016, Jake was the guest illustrator of Scott Adams’ Dilbert comic strips. The original cartoons were auctioned to raise money for the Homes for our Troops Foundation which specializes in building mortgage-free, specially designed homes for disabled veterans. It is awesome to see Jake embrace his different interests and make it work for him. He chose not to neglect his interests and instead found a way to combine them and excel at their intersection. It is noteworthy that he has been successful across his multidisciplinary interests per the sample of his accomplishments above. Further, he leverages his interests to have an impact and help others. Jake is an inspiring example of living out what is true to you, even when it isn’t conventional. State of the Cartoonion: Oprah for President? Do you have interests across multiple disciplines? Do you have a hard time figuring out how they all fit together? Is Jake Tapper’s story helpful to show that it is possible to combine your interests and be successful? I’d love to hear where you are in your process and how this story inspires you. Fantastic share of an inspirational multipotentialite/Hummingbird Dasanj, thank you! I love the way he has found intersections that bring his wide-ranging interests together and allows others to revel in them too. I’m curious to see where else his own curiosity leads him over the coming years.